Under the law, when you invent a new product you may have to arrange for third party testing. The purpose of the testing is to make sure the product is safe. In certain industries, you may also have to conduct safety tests because these are the accepted norm. Either way, as an inventor you bear a responsibility for the safety of a new product. All products must be fit for purpose. This is a legal condition laid down by the Sale of Goods Act 1979. Your invention must meet the purpose the customer expects of it. The manufacture and processing of your invention must meet the demands of environmental law. These can be complex. The law may also vary within the UK regions. This is a legal area in which it is often best to seek expert advice. An agency called NetRegs can also give useful free tips. A well-designed invention usually means a safe invention. You can seek advice about this from the Design Council. The Design Council can point you in the direction of best practice and help you achieve your legal obligations for safety. The best general advice is to consider safety from the moment you have an idea for a new product. A side benefit of this approach is that thoughts on safety tend to lead to improvements in quality; more efficient production; and the use of manufacturing materials that limit hazards for those who make, test and buy the product. For more details and advice, contact the Health & Safety Executive. A CE mark is a claim from a manufacturer that a product is safe. The criteria for safety are in the relevant European directives. The types of inventions that you must seek a CE marking for include electrical products, toys and medical devices. The full list of affected devices is long. Some inventions also cover more than one European directive; if so, the product must have a CE mark that applies to each of these. It’s therefore a good idea to speak to the British Standards Institution for advice. Packaging may not at first seem a relevant safety issue. You may, after all, have asked someone else to handle the marketing of your invention. But it’s worth knowing what constitutes both good practice and the law. This particularly applies if your invention is a food product or contains chemicals. 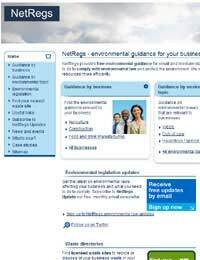 The NetRegs agency will give you free help on request. Your invention will hopefully be safe to make and use. Even so, if you’re involved with the manufacturing side, you may want to take out product liability insurance for protection. This is not a legal requirement. But without insurance, a safety claim made against you could lead to bankruptcy.